On March 31, 2018, Mary Marie (Mitcham) Moore completed the last chapter of her life here on earth at the age of 90. Born September 21, 1927 in Davilla Texas, she was the only child of Jessie Carl and Millie Marie (Parker) Mitcham. 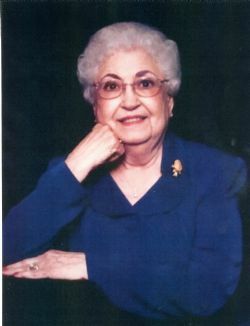 Marie graduated as an honor student in 1945 from Sharp High School in Sharp Texas. Shortly after graduation she had the opportunity to work at Fort Hood Military Base in Killeen, Texas as a telephone operator. She found this type of work afforded her two of the things that brought her happiness, communicating with and helping people. When she recalled her time working on the base, she said it used to make her day when she was able to connect phone calls between parents and their military sons. In December of 1945, when the operators on the base were told Southwestern Bell / AT&T would be holding interviews, she eagerly applied and began what became a 38 year career, retiring in April 1984. Marie’s 35 year perfect attendance showed how much she was committed to and enjoyed a job she felt blessed to have. Marie met the love of her life, Alexander Jackson (Jack) Moore in 1944. They married in 1946 in Lilac, Texas after he returned home from service in the U. S. Marines. They moved to the Brazosport area in 1952, settling in Freeport, Texas in 1953, as they anticipated the birth of their first and only child, Glenda. Marie was a longtime member and faithful servant of First Christian Church in Freeport. She served in various areas of the church through visiting people in the hospital/nursing homes, coordinating fellowship dinners, teaching Sunday school, and organizing the church’s food collection for Brazosport Cares. When asked to serve she did not hesitate to say yes. Her most loved area to serve was Sunday School teacher for the adult class. Regardless of class size, her preparations were the same. She would tell us, she needed to be prepared because God would be listening even if no one else is present. That is how my Mom lived her entire life, putting God first, seeking His guidance in all decisions, and thanking Him daily through prayer that all blessings she received be used in service to His will. After Marie retired, she replaced her scheduled time at work with time at volunteering and participating in activities and organizations she was not able to do while working. Whenever Marie volunteered, there was no need to worry about the task or activity getting done because she always followed through on her commitments. Marie and Jack participated at Brazosport Cares, Meals on Wheels, Telephone Pioneers, AARP, Young At Heart class at church, Ringing Bell for Salvation Army and Freeport Senior Citizens. She was predeceased by parents; Jack, her loving husband of 64 years and many other loving family members. Left to cherish the memories is her daughter and son-in-law, Glenda and Carl Barrett of Matagorda TX; grandson, Dr. Douglas Barrett of Austin, TX; Grand Goddaughter, Natalie Martin of New York City, New York; nieces, Janice (Jim) Bridges, Ann Rydell; nephews, Jackie Parker, Dave (Angie) Moore, Mark (Caroline) Moore, and Terry Moore; dear family friend, Pat Griffith; and grandkitty Rowdy as well as extended family and friends. A very special thanks to all the staff at Oak Creek Village Healthcare and Heart to Heart Hospice for their compassion, loving care and respect shown to Marie and her family. Mom wrote many thank you notes while being a resident there and always worried she might have missed thanking someone. She always wanted me to make sure her candy container was filled so she could offer anyone who entered her room a piece of candy. The following clipping from an article was found in her notebook: Your work and devotion does not go unnoticed, even if the one you care for may not be able to say “thank you.” You are appreciated. You are worthy. You are loved. You are respected. You make a difference. You have value. You are valued. Even if you never hear these words from those you care for, please accept them from me. Also special thanks to niece, Janice Bridges’ 3rd and 4th grade classes for their kindness in sending cards they created for special occasions to their teacher’s, “Aunt Marie”, and to Pat Griffith for always being there to help but more importantly, your friendship. While Mom’s book is now closed on making new memories, recalling the many she has made will be comforting in the days ahead. The final chapter is complete as the last page is turned. On a life well-lived, and now a rest well-earned. Services for Marie will be at 10:00 a.m. Thursday, April 5, 2018 at Lakewood Funeral Chapel with Rev. Dr. Gary McCormick officiating and Pastor Thomas Lester providing music. Visitation will be 9:00-10:00 a.m. prior to service. Burial will be in Sharp Cemetery, Sharp TX 4:00pm same date with refreshments following at The Assembly of God Church Fellowship Hall in Davilla, TX. In lieu of flowers, the family would like you to consider a memorial donation to Unity Missionary Baptist Church, 198 Cedar St, Richwood, TX 77531.